Posted by Charmaine at 8:49 p.m. 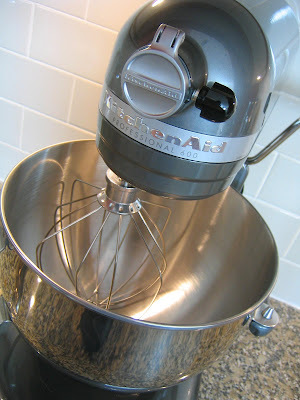 I love your new Kitchen Aide. I have an older one that my step daughter gave me when she got her "professional" one. She is a trained chef. I don't know how I lived without one before. I love reading your blog and I check it everyday for updates. August 2, 2007 at 11:21 a.m.
August 2, 2007 at 7:54 p.m.